It is very well suited when different branches of the company reside in different countries or time zones. It allows the project manager to efficiently keep track of the progress of their team members. It reduces the need for intensive calls where the manager asks for an extensive check in and update from each individual person. 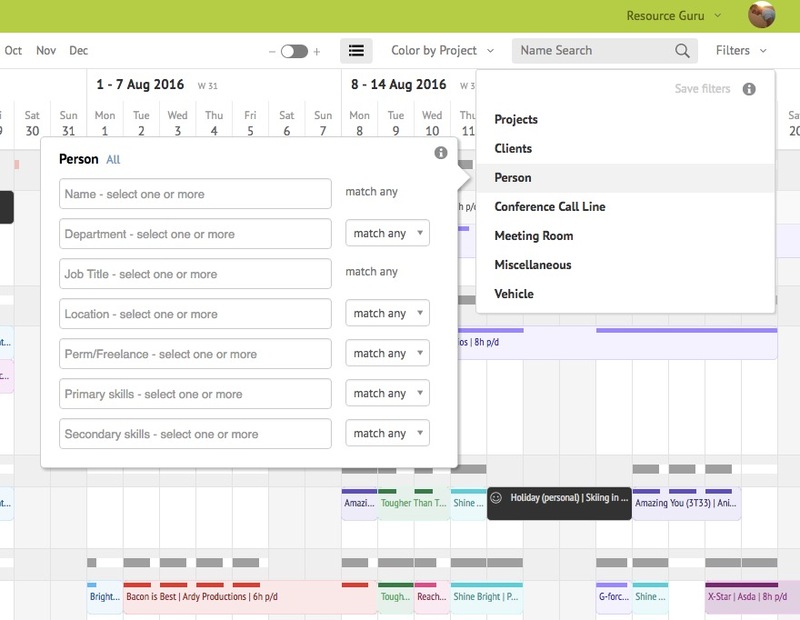 It also allows the project manager to update tasks and timelines as needed. Task tracking: allows user to input tasks which may be marked off as finished by other members of the team. Time tracking: allows users to log the amount of time spent on particular tasks. Cross team management: allows users from different locations and time zones to view the same page and relevant tasks. It isn't quite as user-friendly as I would like. Once you are accustomed to it, it is very useful, but the initial use could be facilitated. One user-friendly calendar interface that displays tasks and deadlines would be nice. A real-time time logging button would be nice, rather than entering hours retroactively. Resource Guru is the only product of it's kind that I have used regularly. Slack is comparable in allowing communication between teams, but doesn't have nearly the functionality of Resource Guru. Resource Guru is the only product that I am aware of that manages tasks and deadlines between various team members, and can be accessed by all members. It has made our cross functional team much more productive and efficient. The only negative feature is the slightly complicated user interface. Before a manager was fully introduced to the product, it was not utilized as much as should be. It allowed all details of timelines to be updated easily (automatically), if the deadline is pushed forward or back.